During Microsoft Ignite 2018 last week, Microsoft announced the winners of its 2018 Office 365 App Awards. We are happy to say that Zoom’s Microsoft Teams on Zoom integration was awarded 3rd place in the Best Office Integration category. 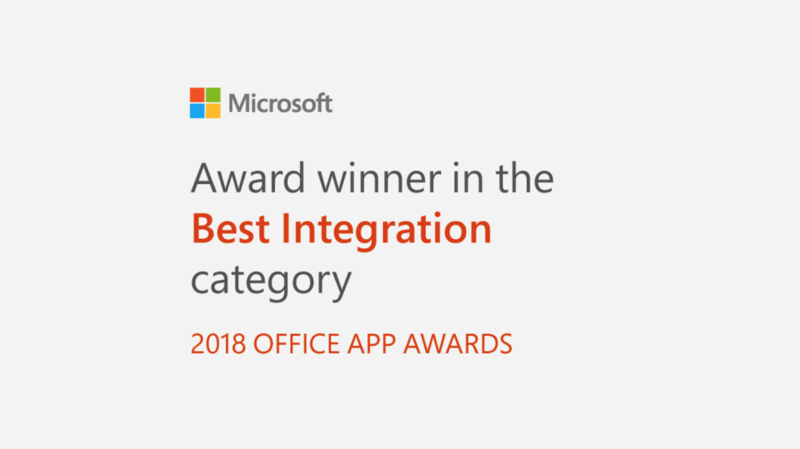 The Office App Awards is an opportunity to feature the best applications and integrations across the Office platform spanning from Office-integrated mobile applications, to new SharePoint web parts, to bots and integrations. Given that Zoom and Microsoft are both collaboration powerhouses, it’s no wonder that our integration makes for a powerful and intuitive user experience. Microsoft Teams on Zoom allows you to start an instant meeting or join a scheduled meeting through commands to bots (software applications that run automated tasks). Basically, meetings you create through commands in Teams will start on Zoom automatically. To use this integration, you need a paid Zoom account, a Teams account, and Zoom admin access for the setup. To install and get started, please follow these step-by-step instructions in our Knowledge Base. We hope you find our integration with Microsoft Teams useful. If you want to learn more about this integration, and the other ways we’ve developed a flexible, user-friendly meeting experience for you, please sign up for a personalized 1-1 demo with Zoom product specialist today.